Ruby Ruby, Ruby Will You Be Mine? 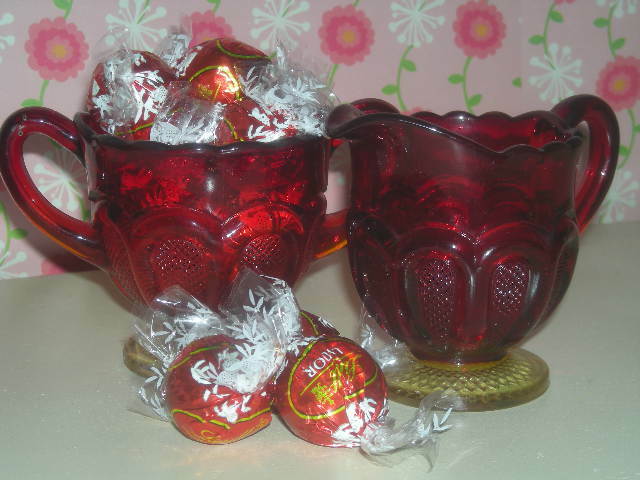 Beautiful vintage ruby glass sugar and creamer with amber glass bases. In perfect condition. Even more stunning in person. Very collectible. Comes with a bag of chocolates for your Valentine. Enesco is an American company probably best known for their “Precious Moments” collectibles. 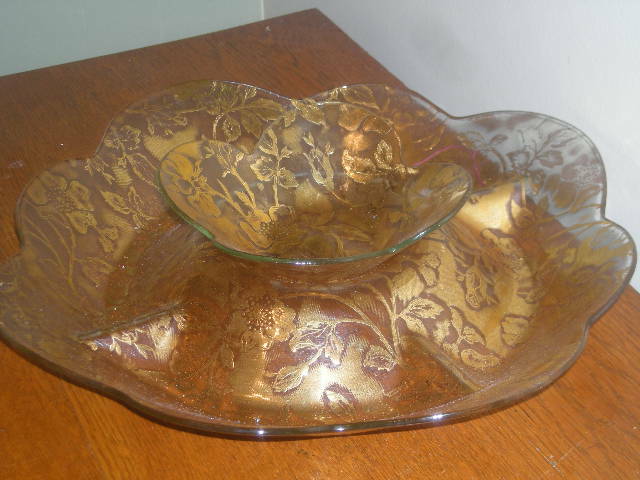 They are headquartered in Itasca, IL and have been producing home decor for many decades. 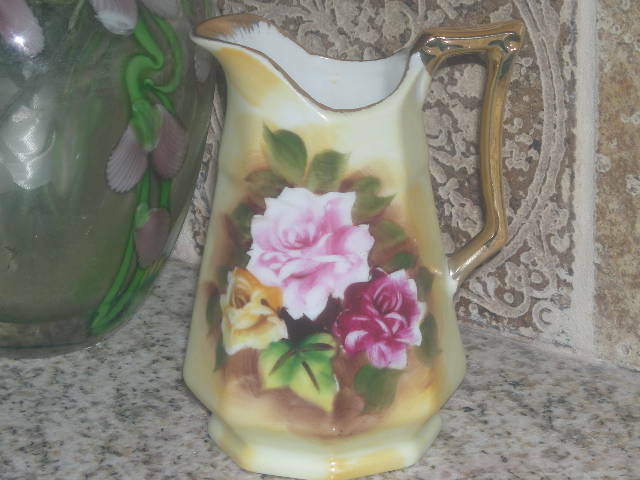 This vintage creamer is in excellent condition and would look great with shabby chic decor. Both of these items can be purchased on Etsy. Happy shopping!